Omifa was a selected supplier for the headquarters relocation of Clifford Chance Badea, in 2009. Throughout the entire process, we have benefitted from customized advice, with Omifa representatives providing optimal design solutions. The company supplied the wood and glass wall dividers for the office, as well as the pieces of furniture in the guest area – the most important area in the office, as it stands as a first contact with clients and partners (the reception desk and conference rooms, respectively). We have mostly appreciated Omifa’s professionalism throughout all stages of the project, as they have respected all quality standards and assumed delivery deadlines. We have worked with Omifa in 2008, in a project to refurbish our offices. We are very pleased with this collaboration, as the quality of products and services Omifa offered are excellent from the design and functionality point of view, in addition to the promptitude with which they were delivered. Last but not least, we particularly appreciate the understanding and the rapidity with which Omifa has resolved the unforeseen circumstances, which have appeared throughout the collaboration. The quality of the products it provided and services it performed lead us to recommend Omifa as a reliable business partner. Holcim Campulung has collaborated on several occasions with Omifa, in view of expanding its office space, as a turnkey project, as well as re-fitting the existing office space. In the first phase of our collaboration, in 2008, Omifa designed and manufactured our office furniture, as well as delivering glass and drywall partitions, suspended flooring (stone and wood), false Armstrong ceilings, electrical installations and low voltage circuits, sanitary installations, demolitions and painting. As we were satisfied with the products and services Omifa delivered, in 2009 we called on them again to re-fit the old office space. This time, Omifa designed and manufactured office furniture and partition walls. Taking into account the good collaboration and the way the works were executed, we recommend Omifa as a business partner able to carry out complex projects under the best conditions. Emerson is writing this letter to recommend SC Omifa Impex SRL as a reliable office fit-out contractor and furniture supplier. At Emerson, there’s no slowing down or short-term thinking. There’s a world out there that needs “Never Been Done Before” solutions and each and every one of us is driven to deliver on the possibilities. Together we’ll face the obstacles that stand in the way of progress and work to leave the world in a better place than we found it. That’s what’s next. That’s Emerson. We have described shortly our values in order for one to better understand that the standards that guide us are the same standards we impose on our partners. These very standards were the foundation on which the Emerson-Omifa partnership was built. Our company’s collaboration with this company has started in March 2014 after Omifa won the furniture tender for the M4 building PSG Hub Cluj. In this particular matter, the Omifa design and research teams were especially flexible and showed a lot of forward thinking, always changing the design in order to better suit our spaces and, at the same time, to offer the deserved amount of comfort for the persons using the furniture. Furthermore, on an engineering level, our supplier paid a lot of care, showing us what details to keep in mind when it comes to high class furniture, for example: each and every worktop has 16 built-in metallic shells that make the connection to the workstations’ structure via special screws. One of the most memorable moments was the selection of the color schemes for the workstations on each floor. It was a very dynamic process in which the Omifa designers showed us how to express our personalities with courage, through color. As the project unfolded, the Omifa team gave us advice on every step of the way. The drive and abilities of the fit-out crew left us wanting to see again in action true professionals. As the furniture quickly populated each floor, we have observed the staff’s proper conduct as well as their high spirit, but mostly we took notice of their profound respect for the schedule. As a conclusion OMIFA is a reliable supplier, able to execute complex projects in the best conditions. We recommend SC OMIFA IMPEX SRL as a proper business partner that has proven to be dedicated, hard working, innovative and ingenious. 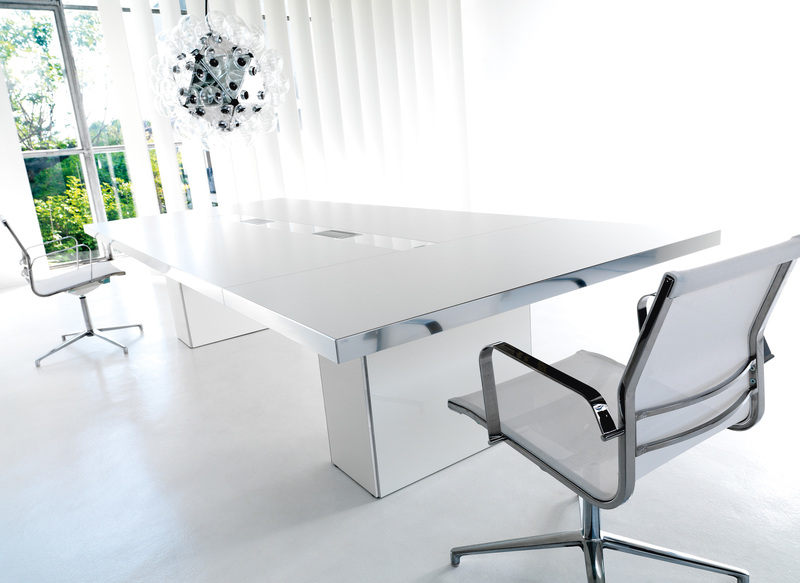 We have worked with Omifa throughout 2012 to fit out a large office space – furniture and glass wall partitions. The quality of the products they offered, the professionalism of the employees and the swift delivery and execution were exceptional. We must underline the seriousness of the entire Omifa team in keeping up with our requests. As a result of a very good collaboration with this interior design company, we warmly recommend the products and services Omifa has to offer. Borza si Asociatii Law Firm has worked with Omifa in the first half of 2012 to fit out a large office space – design as well as delivery and assembly of high-class glass wall partitions. We were very pleased with the quality of the products we received, the professionalism of the employees and the prompt delivery and execution. We must underline the seriousness of the entire Omifa team in keeping up with our requests. The experience of this collaboration and the excellent interior decoration services we received throughout the entire project – fitting out – as well as the extended warranty, lead us to warmly recommend the products and services Omifa has to offer. Euro Insol has collaborated with Omifa between 2011 and 2012, in a project to consult, refurbish and fit out our offices. We are very pleased with this collaboration, as the quality of products and services Omifa offered are excellent from the design and functionality point of view, in addition to the promptitude with which they were delivered. When we expanded, though a second IBC Focus premises, we needed a work environment that would represent the personality of our company. Thus, we called upon Omifa Impex at the end of 2014. Restoration was done promptly and not only the scenery was changed, but also the entire atmosphere. The Omifa team proposed and implemented creative solutions, using quality products, for which we have received warranty. Moreover, the work speed was high, even though it was a clean work. We loved it so much that at the beginning of 2015 we asked them to redecorate an office in our other premises.